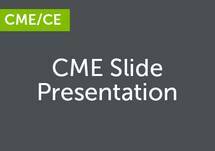 Welcome to CME on ReachMD! This activity, Clostridium Difficile Infection: Applying New Treatment Guidelines and Strategies to Reduce Recurrence Rate is provided in partnership with Prova Education and supported by an independent educational grant from Merck. Your faculty are Dr. Erik Dubberke and Dr. Kevin Garey. Clostridium difficile infection, or CDI, is the leading cause of infectious nosocomial diarrhea in developed countries. Approximately 25% of patients treated for this opportunistic infection experience recurrent or recalcitrant disease, and up to 40% of those patients develop an additional recurrence. This alarming trend has sparked a much needed update in management guidelines that aim to reduce the risk of recurrence and enhance patient care. I’m Dr. Erik Dubberke, Professor of Medicine and Clinical Director of Transplant Infectious Diseases at Washington University School of Medicine in St. Louis, Missouri. Joining me is Dr. Kevin Garey, Professor and Chair of the Department of Pharmacy Practice and Translational Research at the University of Houston College of Pharmacy in Houston, Texas. Today we’ll be discussing changes to the Infectious Diseases Society of America, or IDSA, and Society for Healthcare Epidemiology of America, or SHEA, guidelines, the roles of antibiotic and non-antibiotic therapies and the importance of an interprofessional team approach to CDI. Kevin, welcome to the program. Thank you, Erik, great to be here. Let’s start with an overview of the current incidence rate of CDI in the US and the rest of the world. Yes, thanks, Erik. That’s a great question. The CDC recently published a list of pathogens that they consider to be at the highest level of public health risk, and they put C. diff as a threat level urgent pathogen, which is their highest level of risk, based on the high incidence rate and a high mortality rate. So the CDC estimates that there are 500,000 cases, or half a million cases, of C. diff per year and 29,000 deaths, and they acknowledge that’s likely an underestimate. In all developed worlds, Europe and North America and others, it’s the #1 cause of infectious diarrhea if you’re hospitalized. In the developing world, it’s often not tested for, so it’s more of an emerging disease. Although, I will say in Bangladesh, in Brazil, many other areas of the world where they test, they do find it, so it truly is a global pathogen. What are the economic impacts of CDI in the healthcare system? Very expensive. So we did a study here in Houston a number of years ago. If you were hospitalized with C. diff and then you were discharged but you have recurrent C. diff—which you described in the introduction is quite common—about half the time you’re readmitted to the hospital, and (inaudible)*2:29 that time directly to the ICU. So the cost of C. diff, the healthcare economics revolve a lot around healthcare costs, usually demonstrated by increased length of stay of patients when they get C. diff. CDC once again estimates this to be around $1 billion per year on the healthcare industry, seeing numbers quite a bit larger than that too, and even the CDC acknowledges that’s likely an underestimate. So it’s a costly disease to patients and to the healthcare system as well. So, Erik, I’ll ask you one. When you are seeing patients in a hospital, what factors place patients at higher risk for CDI? 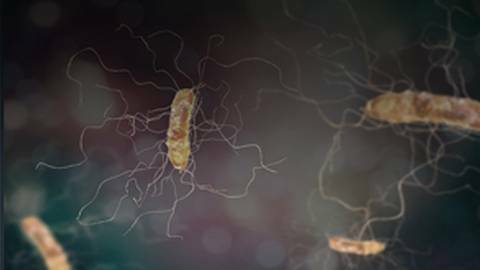 Patients have 2 main lines of defense against C. difficile infection: the microbiome and their immune system. The microbiome is the first-line of defense, and the immune system is the second line of defense. So things that alter our microbiome’s or immune system’s ability to protect us against CDI place us at increased risk for CDI. As such, the most important risk factor for CDI is exposure to antibiotics. Antibiotics alter the microbiome to such where it may no longer protect us against CDI. Conditions, states or medications that impact immune function place a patient with an altered microbiome at even greater risk for CDI. This could be caused by things such as the acute illness related to the infection that resulted in the antibiotic exposure, chronic debility from end-organ disease, such as end-stage renal disease, or medications such as chemotherapy and other immunosuppressants. Recent IDSA and SHEA guidelines seem to deemphasize the use of PCR or NAAT diagnostics compared to a 2-step approach. Can you explain why that is and whether there are any benefits to 1 diagnostic method over the other? Well, actually, I’m not so sure that the 2017 guidelines necessarily de-emphasize the use of NAATs or PCR as much as provide some clarity to their potential role to assist in the diagnosis of CDI. Commercially available NAATs had just become available in 2009, so there was very little experience with them when the 2010 guidelines were written and not enough experience with them to understand their role in the diagnosis of CDI, and the 2010 guidelines actually state just that. It states that there was not sufficient data to make a recommendation on their use. I think part of the problem was that the 2010 guidelines also stated that use of a toxin EIA alone was suboptimal, and therefore, because of that recommendation, many people and organizations interpreted that as an endorsement of NAAT, but it wasn’t. Anyhow, since the 2010 guidelines, the preponderance of data suggests that there may be a downside to the enhanced analytical sensitivity of NAATs compared to toxin EIAs to detect toxigenic C. difficile in stool. This is because they may detect a C. difficile colonization among patients who do not have C. difficile infection. And there are actually many more patients who are asymptomatically colonized with C. difficile than actually have CDI, and this is also true in the hospital setting. As a result, this enhanced analytical sensitivity will detect some of this colonization and can lead to a false positive diagnosis of CDI when that patient doesn’t actually have CDI, and there’s potential for downstream adverse events when this happens. These include but are not limited to unnecessary antibiotic exposures that disrupt the microbiome and promote additional antibiotic resistance, and also, a false positive diagnosis of CDI will cause a hospital CDI rate to increase. This can actually lead to a decrease in reimbursement from Medicare as well as result in public concern as these data are available to the public. Also, there will be wasted resources to prevent CDI when that person doesn’t actually have CDI. And although they have lower analytical sensitivity, toxin EIAs are actually more specific for CDI, and therefore, they continue to play an important role in the diagnosis of CDI, and that’s why the current guidelines with the additional data that we’ve obtained since 2010 do demonstrate there is still a role for toxin EIAs as part of a 2-step algorithm. If you are just tuning in, this is CME on ReachMD, and I’m Dr. Erik Dubberke. Joining me is Dr. Kevin Garey, Professor and Chair of the Department of Pharmacy Practice and Translational Research at the University of Houston College of Pharmacy, and we’re discussing guideline updates and the role of antibiotic and non-antibiotic options for Clostridium difficile infection, or CDI. So, Kevin, earlier we spoke about the diagnosis of CDI, so let’s now turn to treatment options. First, why is metronidazole no longer considered a drug of choice for CDI? Yes, I think this is the other very important change to the guideline, and it’s still evolving, the appropriate treatment of C. diff. So, back in the ‘70s and ‘80s, when you looked at studies published back then, the response rates for metronidazole or oral vancomycin were very comparable. Most patients got better after a 10- to 14-day course, although there still was a high recurrence rate. Starting in the middle 2000s... Actually, a colleague of mine here in Houston, Dan Musher, published a very small case series of patients treated with metronidazole and showed that they only had a 50% response rate. Either they didn’t get better after a 10-day treatment course or they had recurrence, so 50/50, but that was just a small case series. And in Chicago a couple years later, there was a small but very well executed, randomized, controlled trial that looked at oral vancomycin compared to metronidazole stratified by disease severity, and in patients with severe CDI, oral vancomycin performed better. And that’s what changed the 2010 guidelines. It was a highly influential study such that back in 2010, if it was for severe C. diff, use oral vancomycin, for mild to moderate, use metronidazole. So then in between the 2 iterations of the guidelines up to the most current one, there was a spectacular Phase III study on a toxin binder called tolevamer. Tolevamer, unfortunately, didn’t work out, but within that Phase III study, that highly well-executed, large sample size Phase III study, they used both metronidazole and vancomycin as a comparator, and what they showed in that study was that globally—no need to stratify by disease severity—metronidazole was globally inferior to oral vancomycin for the treatment of C. diff. And that study heavily influenced this round of the guidelines such that they now recommend metronidazole only to be used if fidaxomicin or oral vancomycin were not available. It didn’t make the guidelines because it was published later in JAMA Internal Medicine in 2017 using the VA dataset, a very, very large study, several thousand patients given metronidazole and then matched to patients who got oral vancomycin by something called propensity score matching, and they showed a higher mortality rate in patients given metronidazole. So you have a well-executed Phase III study in which the 2 comparators were metronidazole and vancomycin demonstrating inferior response rates, and you now have real-world evidence showing higher mortality rates with metronidazole. And when you put those 2 together, you quickly come to the assumption that metronidazole should no longer be considered first-line therapy. So now there’s really only 3 approved antibiotics we generally use for C. diff. It’s metronidazole, vancomycin or fidaxomicin, the newer agent. And so, Erik, I’ll ask you a question. So, how should clinicians decide whether to use vancomycin or fidaxomicin? So, for patients with a first or second episode of CDI, my decision on which to choose is based on whether or not I feel that patient is at increased risk for CDI recurrence. In the Phase III trials comparing fidaxomicin to vancomycin, they found no difference in initial cure of CDI. In both Phase III trials, cure rates were about 85% or so for each drug. However, the patients who received fidaxomicin were 40% to 50% less likely to develop recurrent CDI, and so the incidence of recurrence amongst those patients that had received vancomycin was around 25% or so, and the recurrence rate amongst those who received fidaxomicin was around 15% or so, 12 to 15% or so. As a result, the patients who received fidaxomicin had a significantly better sustained clinical response than those patients who received vancomycin. So a sustained clinical response, those are those patients who both initially responded to treatment and then did not go on to develop a recurrence up to 30 days after the treatment was stopped. So again, that was significantly better amongst the patients who received fidaxomicin versus those who received vancomycin. Some indicators for increased risk for CDI recurrence include age greater than 65, receiving non-CDI treatment antibiotics, so receiving antibiotics for something else, as well as any immunocompromising conditions; so my threshold for fidaxomicin is much lower for those patients versus prescribing vancomycin. Also, in some subgroup analyses, there were some suggestions that actually patients who received fidaxomicin had a more rapid resolution of their diarrhea if they were on other non-CDI treatment antibiotics, so that might be another thing to consider when selecting between those 2 agents. All right, Erik, that was great. What population, what patient population, do you think would benefit most from using fidaxomicin? Well, one population that would particularly benefit are those patients experiencing their first recurrence. In the Phase III trials, the patients were eligible if they were experiencing their first episode or their first recurrence, and the patients who developed recurrent CDI are at increased risk for developing additional recurrences, so after a first episode of CDI, about 10 to 30% of patients will develop at least 1 recurrence. However, among those patients experiencing their first recurrence, about 20 to 40% of those people will go on to develop more recurrences after that. And so in the Phase III trials comparing fidaxomicin to vancomycin, there’s actually no difference in the relative reduction and risk of CDI recurrence whether that patient was experiencing a first episode of CDI or a first recurrence of CDI, so this is why I feel that patients experiencing a first recurrence of CDI as a population that would particularly benefit from fidaxomicin. So, Kevin, considering the higher expensive fidaxomicin, is there any real world economic data to support the use of this treatment? Yes, there are actually 2 very interesting studies. And so fidaxomicin has no greater toxicity than vancomycin, and it is better to prevent recurrence, so it’s really a healthcare economic argument of whether to use fidaxomicin versus vancomycin. How much is that anti-recurrence that you get with fidaxomicin really worth? because it is a 10-fold more expensive than if you use oral vancomycin. So a buddy of mine, Jason Gallagher, who works in Philadelphia, convinced a health system for a select group of patients, patients with severe C. diff or first recurrence, to stop using vancomycin in that particular patient population and start using fidaxomicin. And so then what they did, they looked at the drug acquisition costs. I’m guessing they didn’t want to spend more money. But then they also looked at hospital readmission cost or just total number of days in the hospital for a defined time period after you get 1 of the 2 agents, a before and after study. So they spent a lot more money. They went from $6,000 with vancomycin up to 62,000 when they started using fidaxomicin, so it obviously hit the pharmacy budget. But if they then looked at the hospitalization costs, it went from a little bit under half a million, 454,000, in patients given vancomycin down to a little under 200,000, 196,000, so they saved $250,000, or at least the healthcare costs were reduced by that much when they switched over to fidaxomicin. So that’s the best US data right now in terms of real world evidence that that anti-recurrence strategy would actually save you some money. So the Europeans did it one better. A guy named Simon Goldenberg in England—he’s a clinical microbiologist—he actually convinced 7 hospitals to switch over, which some of them did it a very regimented way, the first-line of all episodes or first-line of recurrent C. diff, and others they said use it whenever you want to use it, kind of which willy-nilly, usually in combination with other C. diff antibiotics, for example. And the results there were if you use it in a very regimented way, going to only use it for this particular reason, first-line all episodes or first-line recurrent C. diff, and we’re going to get rid of all the other C. diff antibiotics, they showed very similar to the Phase III clinical trial, an anti-recurrence effect, and they also showed a decreased readmission rate. And so I think the bottom line of those 2 studies is if you want to use fidaxomicin, use it in a very systematic approach. Use an interdisciplinary team, get your stewardship team involved, so that you will use it rationally in the way that you want to use it, and then you will have some real world evidence to back you up that you’re making a good decision. Now let’s switch to patients with recurrent CDI. What do the guidelines recommend for treatment of these patients? Right, and I really like this section of the guidelines as well. So, if you remember back in the 2010 guidelines, when a patient had a first recurrence, they essentially said just do whatever you did the first time, do it again, and that never sat well with me. It seems if you failed it, why start it again? And so I think that this section of the guidelines was really spectacular. It really boils down to whatever you did the first team, don’t do that again, at least try something different. So if you just so happened to choose metronidazole the first time, you’d use vancomycin standard dose. If you used vancomycin standard dose the first time, well then you would choose fidaxomicin or a pulsed tapered vancomycin the second time. That makes a lot of sense to me. At least you know that didn’t work the first time. Let’s switch over to something else. When you get beyond that first recurrence and you’re on a second or subsequent recurrences, your quality of data goes down. It’s a hard population to study, not well done in clinical trials in this area, but they do make some nice recommendations for maybe vancomycin pulsed tapered, Rifaximin, a chaser regimen after a standard course of vancomycin, another place where fidaxomicin would be used, and this is really where FMT showed up the most. One that didn’t make the guidelines because the data wasn’t published soon enough—but I’ll actually get you to start this section, Erik—there’s a new monoclonal antibody called bezlotoxumab. I was wondering if you would comment on maybe just exactly what it is and then the benefits of using bezlotoxumab. Sure. Bezlotoxumab, so that’s actually a monoclonal antibody against toxin B of Clostridium difficile. Actually, what I was taught in medical school—and probably, Kevin, what you were taught in pharmacy school—was that it was actually toxin A was the more significant toxin, but actually, subsequent studies published in the last 5 to 10 years actually demonstrate it’s the opposite. It’s really toxin B is the main driver of C. difficile infection. And so, as I mentioned earlier, we have 2 lines of defense. One is our microbiome. The other is our immune system. And an important part of our immune system is the ability to make antibodies against C. difficile toxins, and so that’s how bezlotoxumab came to be. It was found that many of these patients that got C. diff again and again and again when their C. diff treatment was stopped, they were not mounting an antibody response against C. difficile toxins. And so, obviously, the bezlotoxumab went through its Phase II and Phase III studies, and as a result of the Phase III studies, it was approved for prevention of Clostridium difficile infection. So, as a monoclonal antibody, it actually does not kill C. difficile, so patients with C. difficile infection who you think might benefit from bezlotoxumab should still receive antibiotics for their C. difficile infection; so they should receive oral vancomycin or fidaxomicin to treat that C. difficile infection, but then the bezlotoxumab is administered as an adjunctive therapy to specifically decrease that risk of recurrence. And in the Phase III trials of bezlotoxumab, it demonstrated that it was able to reduce the risk of recurrence, not only at 30 days but at 90 days from its administration by about 40% relative to placebo. And bezlotoxumab was very well tolerated, no concerns for increases in adverse events compared to placebo, but there is one warning in the package insert with bezlotoxumab, is to use caution with it amongst patients with congestive heart failure. But this is actually an issue for all monoclonal treatments. Regardless if it’s bezlotoxumab or some other sort of monoclonal, there are some concerns that it may exacerbate congestive heart failure, but within the bezlotoxumab trials, there was nothing that was statistically significant in regards to increased risk of adverse outcomes with bezlotoxumab. I know in the Phase III trials they extended the follow-up period long enough that they were able to get some economic data from their Phase III trial. Specifically, their hospital 30-day readmission rate, if it was CDI-associated, went down 13% readmission rate in the placebo group to a 4.5% in the bezlo-treated group, which was significant from a Phase III trial, which is impressive. I saw your recent paper. I think you built an economic model with bezlotoxumab. I wonder, could you comment on that? What do you think the economic data of using bezlotoxumab looks like? Yes, yes, so in the study that you’re referring to, it was a cost-effectiveness study where what’s called the Incremental Cost Effectiveness Ratio, or ICER, was calculated for bezlotoxumab versus placebo. So the ICER represents the average incremental cost per quality-adjusted life years gained associated with an intervention. A commonly used threshold for a cost-effective intervention is an ICER of $50,000 or less per quality-adjusted life year gained, so what this means is that the interventions cost no more than $50,000 for every life saved per year when the intervention is applied across the entire population, so in this setting it would be the entire population of patients who have C. difficile infection. So, overall, bezlotoxumab was found to have an ICER of $19,824 per quality-adjusted life year gained, so this would be considered a cost-effective, preventative measure for preventing recurrent C. difficile infection. Of note, the ICER actually was even better for patients at increased risk for recurrence. It was $15,000 approximately for patients greater than or equal to 65 years of age and $13,000 approximately for immunocompromised patients. And then the ICER got even better for patients with multiple risk factors for recurrent C. difficile infection. The ICER was about $5,000 for immunocompromised patients with a history of CDI in the past 6 months, and it was $3,500 for patients that were greater than or equal to 65 years of age and also with a history of CDI in the past 6 months. So the greater that patient’s risk is for recurrent C. difficile infection, then the more cost-effective bezlotoxumab is. That’s great. That paper actually gives really good guidance in terms of the population we should likely be targeting for bezlotoxumab use. That’s valuable in multiple ways. So, Erik, before we wrap up, do you have any other comments for our audience? I mean, C. difficile infection remains a significant clinical challenge, and the 2017 guidelines actually had a couple pretty major changes compared to the 2010 guidelines that we’ve been discussing, one being additional guidance for diagnosis of C. difficile infection, more strongly coming out in regards to 2-step testing with utilization of toxin detection when trying to diagnosis C. difficile infection, but it does state that NAATs, although you can have more false positives for C. difficile infection with NAATs, they can be used in certain circumstances. But again, part of this is my own personal bias, is I still think there’s a role for toxin detection even if you’re using a NAAT. The other big area is the treatment guidelines, and definitely, metronidazole no longer being a first-line treatment for C. difficile infection I think is major, major news, but also, I think, is going to result in significant improvements in patient outcomes. As you had mentioned, Kevin, trials have shown pretty definitively now that metronidazole is inferior to oral vancomycin and that there may be a survival advantage to oral vancomycin, and I think our patients will benefit from getting away from metronidazole monotherapy for treatment of C. difficile infection. 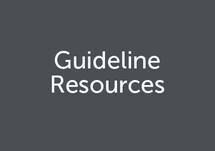 And also now the guidelines do state the role for fidaxomicin as a first-line treatment for a first or second episode of C. difficile infection or first episode and first recurrence of C. difficile infection as per the patients that were enrolled in its clinical trials, its Phase III trials—kind of what happened with the 2010 guidelines. Fidaxomicin was not mentioned in the 2010 guidelines because it wasn’t available until 2011, and we have a similar situation here with bezlotoxumab. Just the data for bezlotoxumab came out too late to be included in 2017 guidelines, but at the same time, I think there still is a role for bezlotoxumab. It is effective at preventing recurrent C. difficile infection, and we know it’s cost-effective. And because recurrent C. difficile infection is associated with worse outcomes than patients who have a single episode, the use of bezlotoxumab will probably also improve patient outcomes as well. So, how about you, Kevin? Do you have any additional thoughts in regards to the guidelines? So thanks, Erik, that was a perfect summary. I guess my final thoughts, I’d like to stress that appropriate treatment of C. diff is going to be a team sport. We’re going to need frontline nurses who see these patients every day to be highly cognizant of C. diff, understand what diarrhea is, understand potentially other variables, factors that might be influencing diarrhea and whether this patient is truly at risk. I think the antimicrobial stewardship team is going to be essential, not only to prevent overuse of unneeded antibiotics but to develop the treatment algorithms that we need to appropriately manage our patients. And then I think, Erik, you and I being a physician and a pharmacist—and we collaborate often, we talk together, we exchange best practices—I think our different viewpoints to solve common problems is really helpful. And I know I learn a lot from the interactions, and I think more and more as we can get together and put our brains together to solve these type of problems, it gives me hope that we will tackle the C. diff and treat our patients better one day. I completely agree. CDI, management of CDI, prevention, diagnosis, it’s definitely a team effort. When it comes to CDI in the hospital, it involves physicians, it involves nurses, it involves pharmacists, it involves housekeeping, and it involves the MicroLab. I’ve probably left a few groups off that list. It requires the C-suite support as well to support many of these efforts as well. And in addition to all that, we also need to educate our patients, not just what C. diff is and not just why there are in contact precautions but what can happen. There is a risk that it will come back. And then what should they do if they think it’s coming back? And I think with these multidisciplinary efforts, we’re going to do a better job of improving patient care. Well, that wraps up our discussion on the latest guidelines and treatment options for patients with CDI. And I’d like to thank my guest, Dr. Kevin Garey, for joining me today. Thanks, Erik. It’s always great talking with you as well. This has been CME on ReachMD. The preceding program was provided in partnership with Prova Education. To receive your free CME credit, please visit ReachMD.com/Prova. CDI experts discuss the changes to the IDSA and SHEA guidelines, the roles of therapies, and the importance of an interprofessional team approach. Clostridium difficile infection (CDI) is the leading cause of infectious nosocomial diarrhea in developed countries. Approximately 25% of patients treated for this opportunistic infection experience recurrent or recalcitrant disease, and up to 40% of those patients develop an additional recurrence. This alarming trend has sparked a much-needed update in management guidelines that aim to reduce the risk of recurrence and enhance patient care. This activity will discuss changes to the Infectious Diseases Society of America (IDSA) and Society for Healthcare Epidemiology of America (SHEA) guidelines, the roles of antibiotic and non-antibiotic therapies, and the importance of an interprofessional team approach to CDI. Dr. Dubberke receives consulting fees from Merck, Rebiotix, Summit, and Synthetic Biologics; and has contracted research for Pfizer. Dr. Garey receives consulting fees from Merck, Summit PLC, and Seres Therapeutics. Summarize the changing epidemiology and demographics of patients at risk for CDI recurrence. More knowledgeably select therapeutic regimens for patients at high risk for recurrent CDI, including validated non-antibiotic agents. Analyze the impact of the recent changes made to the Infectious Diseases Society of America guidelines on CDI diagnosis accuracy and patient outcomes. This activity is designed to meet the educational needs of the members of the professional teams who care for patients with infectious disease, including infectious disease specialists, primary care physicians, registered nurses, nurse practitioners, physician assistants, and pharmacists. The views and opinions expressed in this educational activity are those of the faculty and do not necessarily represent the views of TOPEC and Prova Education. This presentation is not intended to define an exclusive course of patient management; the participant should use his/her clinical judgment, knowledge, experience, and diagnostic skills in applying or adopting for professional use any of the information provided herein. Any procedures, medications, or other courses of diagnosis or treatment discussed or suggested in this activity should not be used by clinicians without evaluation of their patients’ conditions and possible contraindications or dangers in use, review of any applicable manufacturer’s product information, and comparison with recommendations of other authorities. Links to other sites may be provided as additional sources of information. Once you elect to link to a site outside of Prova Education, you are subject to the terms and conditions of use, including copyright and licensing restriction, of that site.